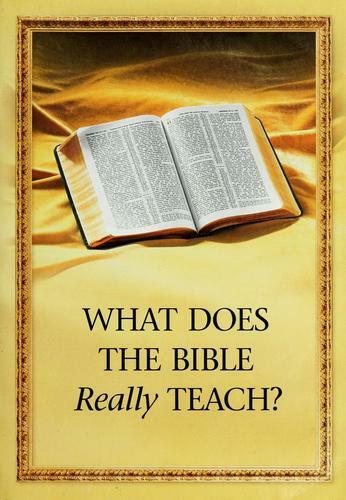 Myss Lafunky's Blog: What Does The Bible Teach? Did you know that the Holy Bible is also known as the scriptures, the Word and the Word of God? The Bible is inspired by God and is useful for teaching the truth, rebuking error, correcting faults, and giving instruction for right living..
so that the person who serves God may be fully qualified and equipped to do every kind of good deed. 1. The Bible is for every culture and race. It does not discriminate. 2. The Bible has all the answers to every question. 3. The Bible is full of ALL kinds of advice, from money management, how to be wise, how to be kind, getting along with people, the importance of rest and spending quality time with your family, how to be a virtuous woman, how to be a man of valour, how to parent your children, amongst others. 4. The Bible gives us directions. 5. The Bible teaches us the truth. 6. The Bible will teach and help you to overcome sins and temptations. 7. The Bible is more than a book, the Bible will enable you to know who Jesus is, you can’t really know about Jesus if you have not read His Word. Please, read John 1:1-3. 8. The Bible will teach God’s ways. 9. The Bible will convict you of your sins. 10. The Bible will teach you about history and it will teach you about things to come. 11. God honours all His Words in the Bible. 12.The Bible will also transform your life for the better. It would prune you to be the best. Create time to read the Bible,create at least 15 minutes every day out of your 24 hours to study the Bible as a family, individual and with your friends. Have you ever considered how your children's church was set up before? Are you in the process of choosing a church, please consider the spiritual growth of your children when deciding on a church. If you already attend a child, please remember to monitor what your children are learning from Children's church. While the Bible may be full of advice, it can also pose a challenge to read. For some people, getting the most of their Bibles starts with finding the right translation and knowing where to start. Click this link for my daily Bible Study Plan. There are a number of Bible translations that appeal to all kinds of readers. Nonetheless, the Bible is meant for everyone to be able to read and understand. God wants his Word known to the world. If you're having trouble reading your Bible and understanding it, spend some time with other translations. Sometimes it takes phrasing things a little differently for us to understand God's word better. My favourite translations are: God's Word Translation (GWT), New Century Version (NCV) and New International Version (When I first gave my life to Christ, I immersed myself into studying NIV Bible). As a child, I grew up learning and memorising Bible verses with King James Bible Version (KJV). What's your favourite Bible version? Hi Myss Lafunky, God bless you for the good job! My favourite version will be KJV but i love the American Standard Version. No 'inspirational' book or devotional should take the place of our Bibles! Thank you for the reminder as to the importance of the studying the Bible. Thank you for your comment. I definitely agree with you that we should not replace our bibles with devotional and inspirational books, although devotional books could be used as a tool for us to read/study our bibles. Don't you struggle with all the 'thou, thee, standeth, runneth' in King James Version? I haven't heard of American Standard Version, I will check it out. Me again. Just to clarify pls. There is ASV- American Standard Version but ESV is 'easier' for me though. I will check both versions, it is likely to be useful when I'm digging into the Word. Thank you.